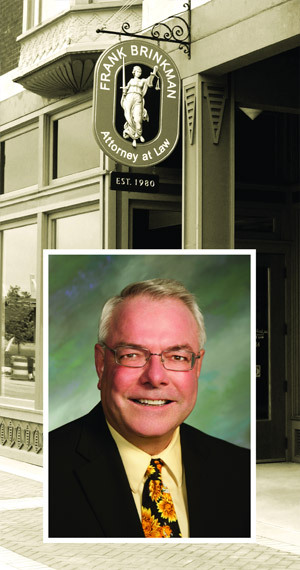 Frank Brinkman Law, P.C., practicing in Muncie, IN, and surrounding areas, provides clients with friendly, efficient, and caring advice. Frank strives to help clients make informed decisions affecting the most important parts of their lives. Every client's legal matter is very important and deserves the utmost care and consideration. 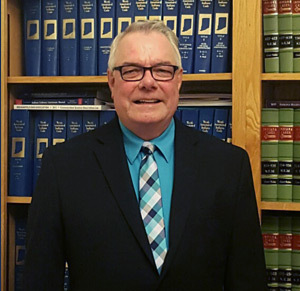 Frank provides personal attention, listens and cares about each client's legal needs, and represents his clients in court. Frank strives to help clients resolve their important legal issues to their satisfaction and will schedule appointments during the day, evenings, and weekends. Frank Brinkman Law, P.C., accepts payment on attorney fees by cash, check, debit card, Visa, Discover and MasterCard. Contact our office today to get the personal assistance and attention your case deserves.